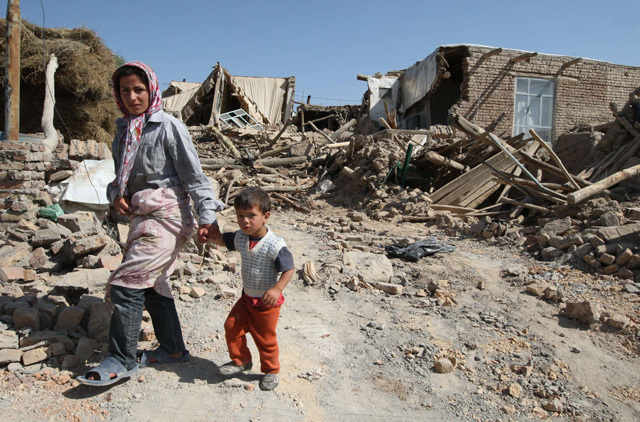 Tehran: Twin earthquakes that devastated rural villages in northwest Iran on the weekend killed 306 people, most of them women and children, and have sparked fears of disease outbreak, officials said on Monday. 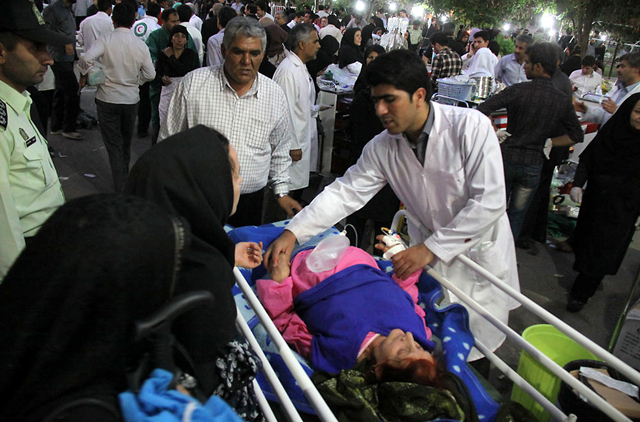 Another 3,037 people were injured, of whom 2,011 were given first aid at the scene and the rest were taken to hospital, where 700 surgeries were performed, Health Minister Marzieh Vahid told lawmakers in a report published on the parliament's website. "We are continuing the search for bodies," she said. Authorities called off rescue operations on Sunday after saying all possible survivors had been recovered. Another official addressing the lawmakers, Hassan Ghadami, a deputy interior minister in charge of crisis management, said: "Many of the victims were killed in the first hours (after the quake) due to the mass of muddy rubble... and the old structure of houses in the region." The head of Iran's emergency services, Gholamreza Masoumi, meanwhile warned of a possible outbreak of infectious diseases as homeless survivors huddled in unsanitary conditions, lacking water and portable washrooms, the Fars news agency reported. "Another important issue is a large number of animal corpses scattered in the area and inside water resources," he said. 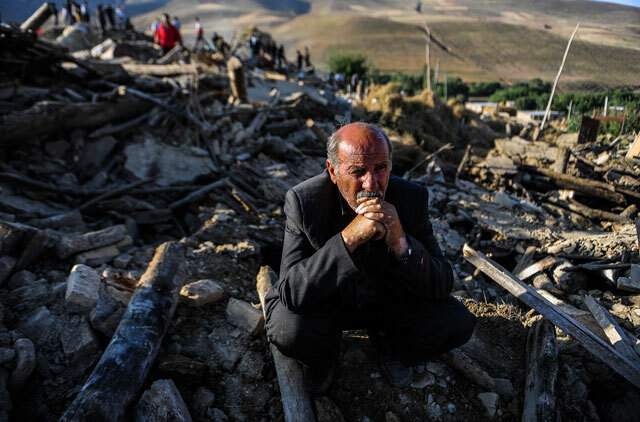 The two earthquakes, measuring 6.4 and 6.3 on the moment magnitude scale, rumbled through northwest Iran on Saturday in quick succession, levelling mud brick and concrete homes in villages to the northeast of the city of Tabriz. 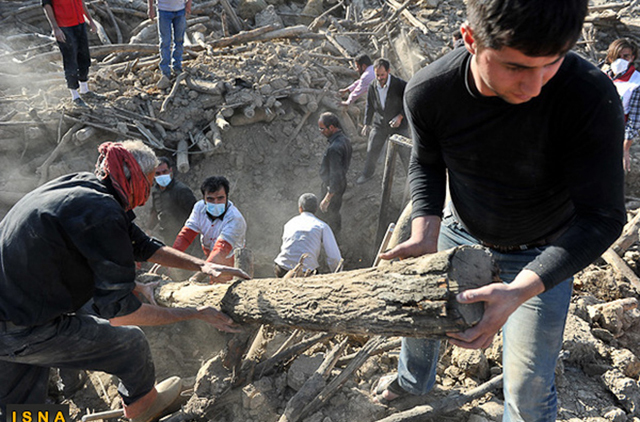 The head of Iran's Red Crescent, Abdul Hussain Fagih, told the same hearing in parliament that 230 villages had been badly damaged, including a number totally destroyed. Many others suffered moderate damage. A state grant of nearly $2,000 per family has been approved, along with low-interest loans for up to $6,000, according to first vice president Mohammad Reza Rahimi. Fagih said the Red Crescent has provided relief for the more than 16,000 people left homeless, distributing thousands of tents and blankets, and food and water. 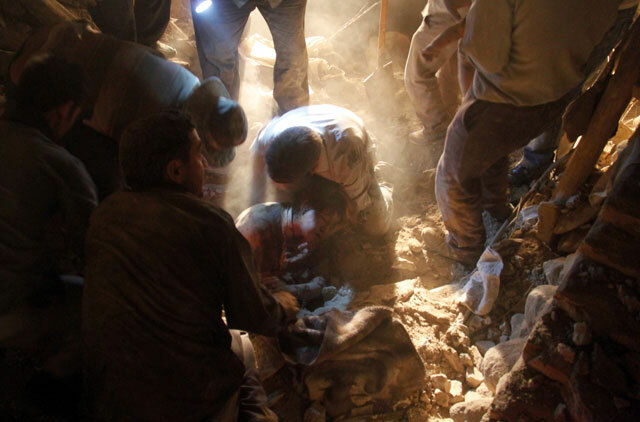 Iran rejected offers of outside help in the wake of the quakes from a number of countries, including the United States, Germany, Taiwan, Singapore and Russia. It said it could cope with the disaster itself. "We received offers of help from several countries... but as we have sufficient men and resources we did not need this foreign aid. We thanked them for their offers," Fagih said. However, state television reported on its website that one aid shipment from Turkey had entered Iran. Thirty-four relief workers accompanied the cargo, comprising two trucks carrying 20 tons of food, tents and heaters, the television website said. The deadliest in recent years was a 6.6-magnitude quake which struck the southeastern city of Bam in December 2003, killing 31,000 people - about a quarter of the population - and destroying the city's ancient mud-built citadel.